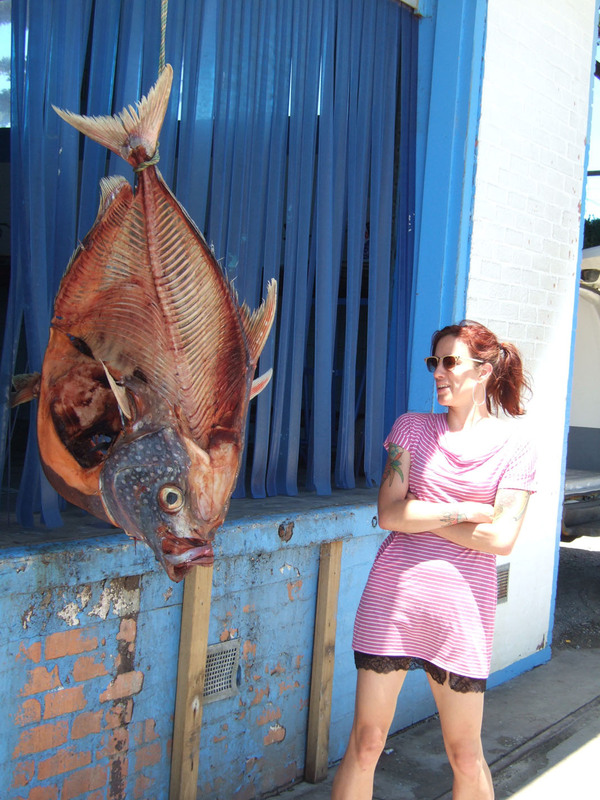 A DRIVER’S licence might be an elusive beast, but it turns out any chump can secure a fishing licence, so I do. Luckily, fishing turns out to be a lot less hi-tech than expected, and Clare and I manage to just stick the bait, hooks and line together with guesswork and a lot of unhooking of hooks from fingers. 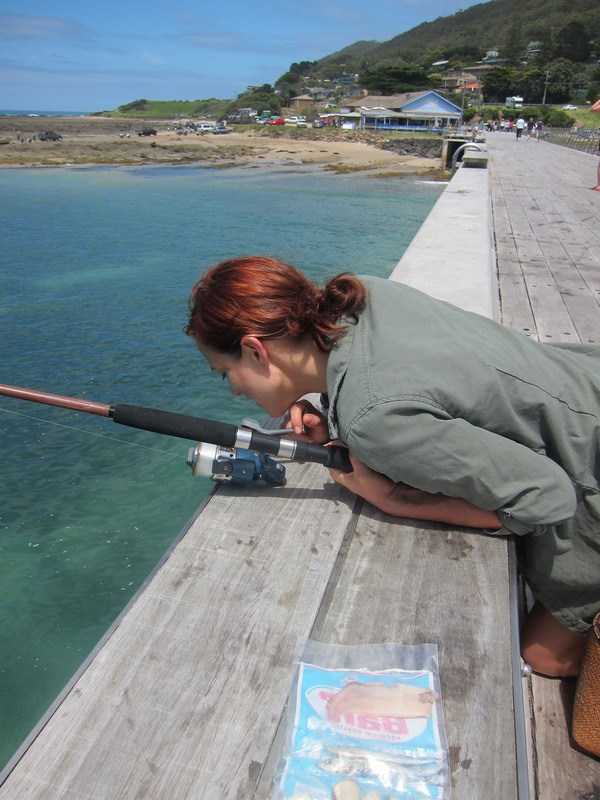 The actual fishing commences on Lorne pier, with a latte in one hand, handbag in the other, and rod balanced awkwardly between the knees. Every time the tide pulls the line taut, I reel it in and people flock over at all the excitement. 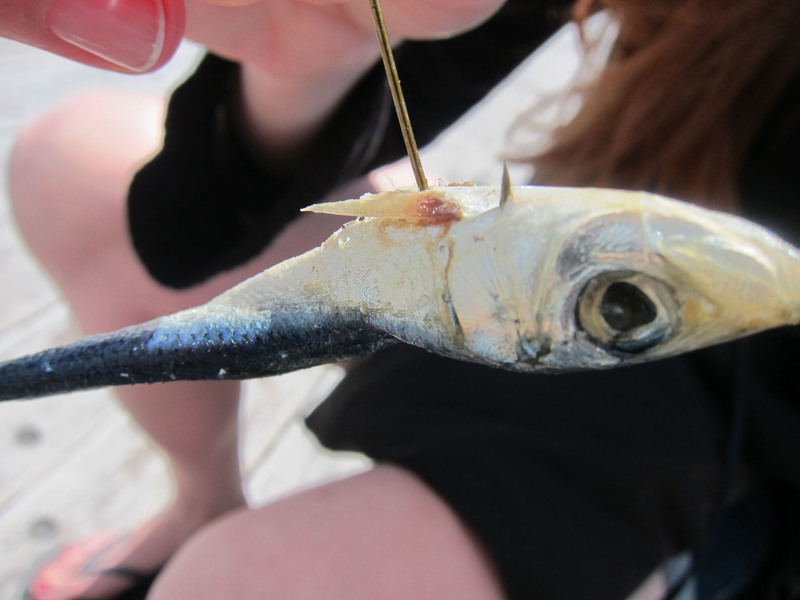 “You’re drawing a crowd and that’s not what you want,” mutters Clare as I reel in my sardine. But it’s hard not to just keep taking a little look… Ye gods! There’s a bloody massive upside down crab the size of a dinner plate stuck to the end of my line, and it’s not looking happy. “I can’t get it up!” I yell to the pier (fishing is a fount of innuendo), and the crab smartens up and lets go before we can get any photographic evidence. The thought of pulling up a big calamari: maximum squealage. A little number somebody left at the end of the pier.